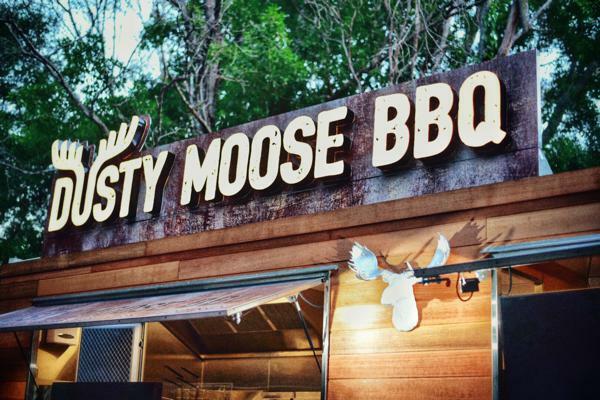 Get excited Peeps of Brisbane. 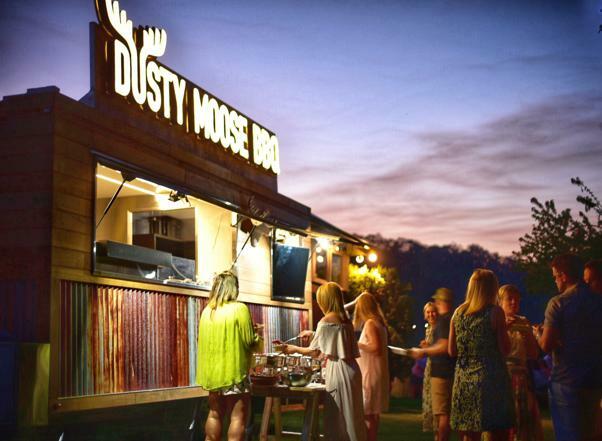 Dusty Moose BBQ has just hit town. We love it when people come to us that are looking for a van with a point of difference, one to help them stand out from the crowd. It gets our creative juices flowing. We just love to think outside the box, so to speak, and help people realise their dream by creating a vehicle that is truly unique, one that will best showcase their wares in the most attractive form possible. 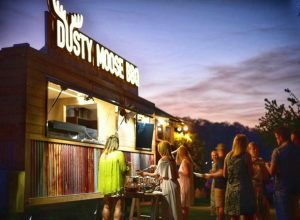 A food trailer was the next logical instalment to complete Greg’s American BBQ business. 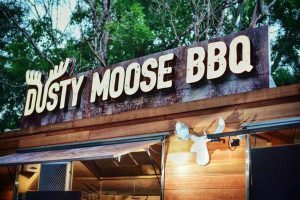 After moonlighting selling meat smokers, sauces and even running a BBQ cooking school whilst working full time in banking, Greg decided to bite the bullet and throw in his day job for something much more exciting… running a food van! 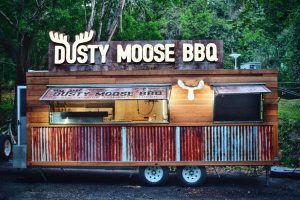 Greg, together with the Van Demons team and the team at Iguana Signs, have transformed your average box style trailer into something truly special. 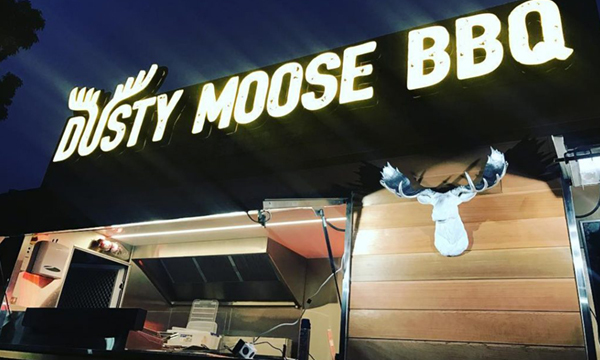 With timber cladding, wrought iron covered in a vinyl rust look wrap and an awesome illuminated rooftop sign, we think the Dusty Moose food van has to be one of the best looking vans we have built. 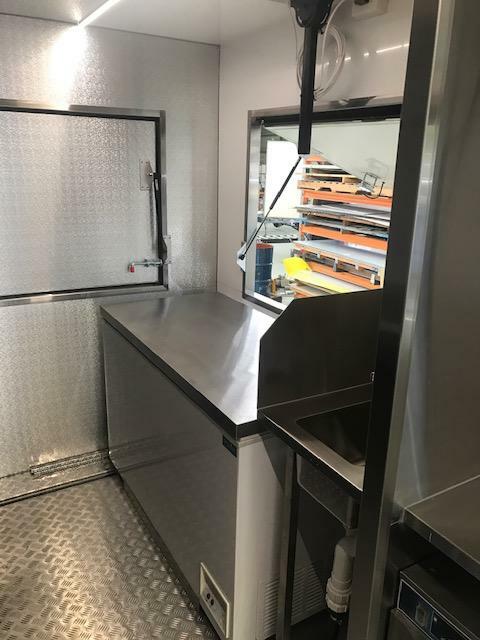 In addition to the usual commercial kitchen appliances, we have added a wood fired smoker for Greg to smoke his meats on the go.